Disclaimer: This post is rated PG. I know I probably should write posts about the rest of my Balkans road trip (and I will), but I’ve been waiting to write this post for the last three years, and finally, the time has come to write and share. 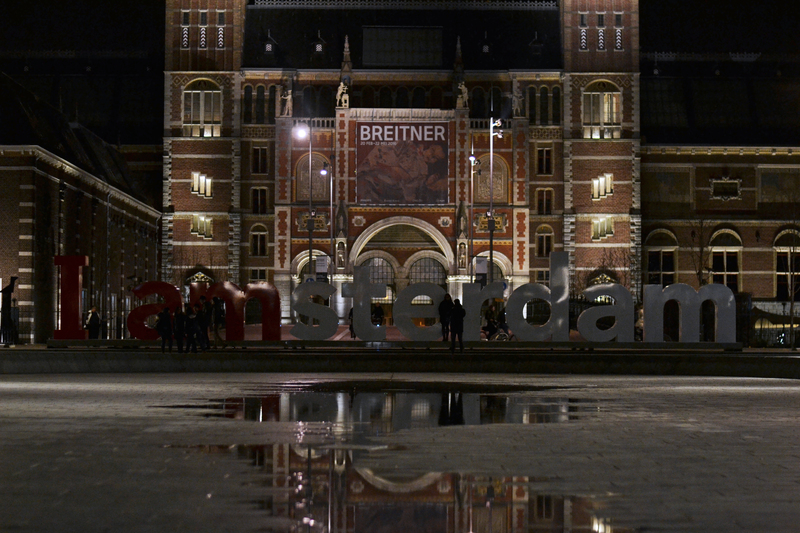 Just a couple of days ago, a friend and I spent our afternoon and evening in Amsterdam. However, this wasn’t my first trip to Amsterdam. For the past three years, I have ended up in Amsterdam every spring (end of March – start of April) for anywhere from 12 to 96 hours. This time, I had something a little bit better than a point-and-shoot camera, so I could take a couple of nice photos to put up here. Amsterdam is a little bit different from other Dutch cities. I’ve heard heard this from my Dutch acquaintances, and I’ve visited a few other cities in the Netherlands to check this out for myself (more posts to come…one of these days). Essentially, the heart of Amsterdam is marketed for and absolutely packed with tourists left, right, and centre. This does not mean that I did not enjoy every moment of my time in this city, because I truly did. And let’s face it: as much as I would like to be, I am not Dutch. I have also never lived in the Netherlands for an extended period of time. This means that when I’m in Amsterdam, I’m a tourist, and sometimes, it’s pretty fun being a tourist and doing all those touristy things. Today, I can share with you is a list of some of the things I have done and give you some tips about what to do, and how to enjoy some time in this city without breaking the bank. A canal photo from the point-and-shoot days. Wandering through the beautiful, canal-filled streets of downtown Amsterdam. Taking hundreds of photos of the spectacular views is absolutely free. This can seem like a bit of a tourist trap, but it you’re interested in brewing, it can be great to see how the beer is brewed and how it should be consumed (think lots of foam…actually). One of the reasons we did the Heineken Experience was that at that point in the season, Heineken offered an additional voucher with the brewery tour ticket. We could choose between a free beer glass OR a boat ride back to the central train station. Since the brewery is near the southern edge of downtown Amsterdam, we knew that the ride back through the canals would take more than 20 minutes. 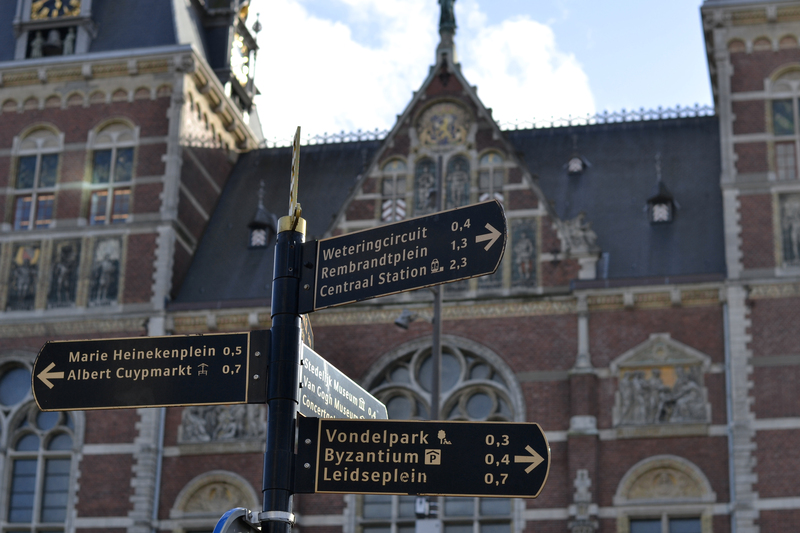 By choosing this alternative, we saved paying for a canal tour of Amsterdam. Whatever you do, do NOT let Heineken beer define your experience of Dutch beer. A lot of incredible beer is brewed in the Netherlands (and neighbouring Belgium). Some brands include: Leffe, La Trappe, La Chouffe, Duvel, Amstel, and Grolsch. Go into a local bar and see what they have on tap. Taste it! Enjoy it! I studied history in university, so for me, this was really important to see. We went about an hour and half before closing time and there was just a small line. We still had enough time to walk through the house at our own pace. to be consumed with mayonnaise. As a part-time painter, I’m a huge art fan. Even though it’s called the Van Gogh museum, you can learn about many different artists and artistic movements from Van Gogh’s time there. I would encourage purchasing tickets online ahead of time to avoid massive lines. Even if you don’t choose to go, learn the real way to pronounce “Van Gogh.” I’ve been saying it wrong my whole life. It’s always packed with tourists during daylight hours. If you want to experience a less busy Iamsterdam sign, go after sundown (or before sunrise as a friend of mine did). We also took the chance to spend more time exploring the different squares (called “pleins”). Anneke is a Dutch singer and Arstidir is an Icelandic band. They recently collaborated together to create an album called Verloren Verleden. The concert, based on this album, was beyond incredible, and for now, that is all I can say. It’s going to get it’s own post soon. (Overall: a lot of fantastic music comes out of the Netherlands. If you have the opportunity, go and check out a local show). this time we did it right – by night and streetlight. I amsterdam sign by night. 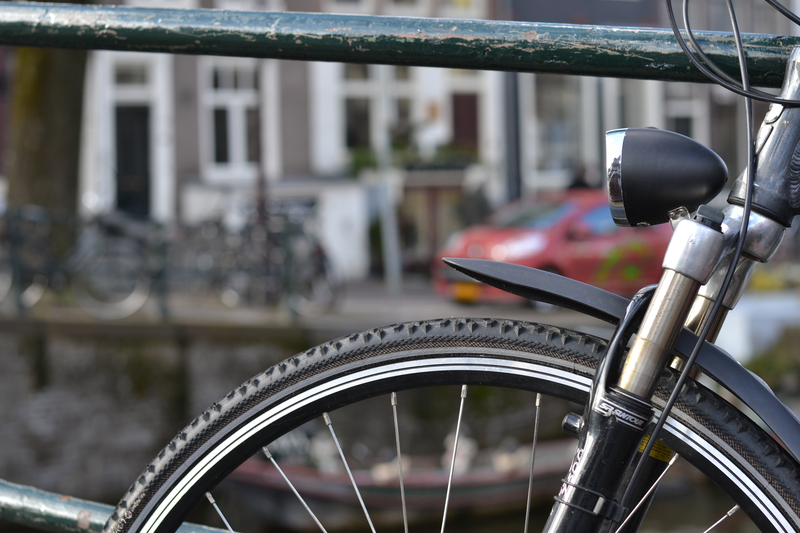 Amsterdam is know for being a bike-friendly city with many people riding bikes wherever they go regardless of season. In a way, this makes the city just a little bit less pedestrian-friendly. Always make sure to check that the path you are walking on is not an unmarked bike path and check for cars when crossing an intersection. Coming from a city where bikes are less common, I really had to work on this habit. Please note that cyclists may sometimes choose to follow whichever road rules seem convenient for them at that time. For example, when lights are giving pedestrians permission to cross an intersection, cars must stop for the pedestrians but cyclists may choose not to. 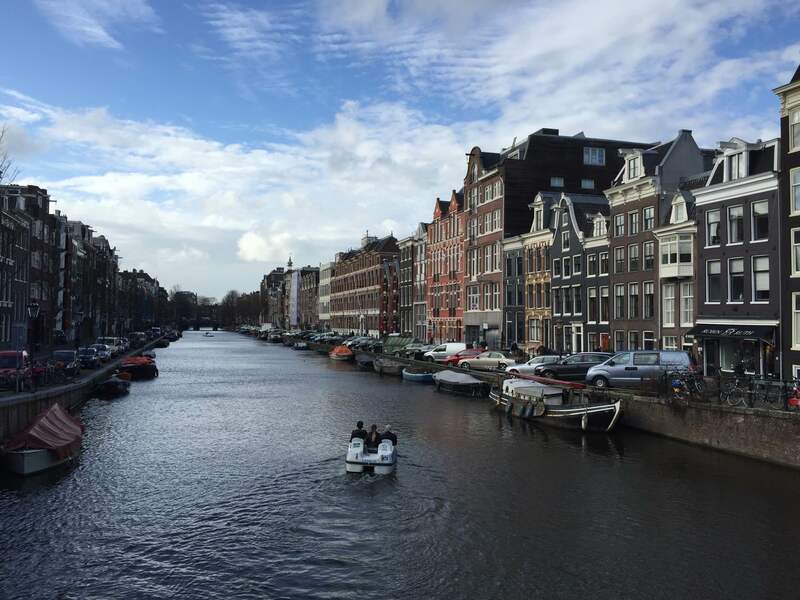 Awesome post… I love Amsterdam. Like how you noted the different beers. Not a huge fan of Heineken, but there is such good beer there!! Thanks for reading! The Dutch brew incredible beer, and I do what I can to let people know that there are better options than Heineken. If you have any other suggestions, I’d love to hear them! Great post, btw. Thank you so much for reading! I did think of one more thing if you’re a bit of a foodie. There’s an incredible restaurant in the centre of Amsterdam called Belgisch Lieve Restaurant (http://www.lieve-amsterdam.nl/en/restaurant). You can pick 1 of 3 ways to dine (we went for the Baroque since you can sample the most dishes). It was a bit of a splurge for me (I’m a new uni graduate with student working on a small teacher’s salary), but I had some of the best dishes I had ever eaten. I considered it worth it! What a beautiful post, it reminds me of the Netherlands, a home of mine for at least three years. I miss that so much, so seeing this heal me a bit. Look forward for your next post!